Chief Medical Officer for England, Dame Sally Davies, has championed the use of genomic data to help treat cancer. But is the NHS ready to use this, and other forms of real-world data, to find new therapies, or ways of bringing drugs to patients? Richard Staines went to the QuintilesIMS Real-World Evidence in Oncology conference to find out. Real-world evidence (RWE) has become something of a buzz-word in healthcare, but conventional clinical trial data is still very much the gold standard when it comes to development and regulation of cancer drugs, the recent London conference heard. However a series of initiatives could see patient-level data used in drug R&D and post-marketing activities and, while randomised controlled trials are still very much at the heart of oncology drug research, RWE offers the tantalising possibility of ‘precision’ medicine. This is where patient information outside trials is used to fine-tune, or decide, the appropriate course of treatment. Data from patient registries, and the patient’s own genome, matched with knowledge from conventional trial data, could produce cancer treatments tailored to individual patients’ needs. The conference took place soon after the publication of Dame Sally Davies’ annual report, which outlined her ambitions for the genomic revolution, in which she called for genetic testing to be opened up to all NHS cancer patients within five years. But speaker Dr Matthew Williams, consultant clinical oncologist at Imperial College London, offered a realist’s perspective on the situation for cancer patients. Williams insisted that using real-world and genomic data would have enormous potential in the future. He was confident that, in the longer term, the medical profession would be able to handle the sensitive personal information from genomic testing in a responsible way, in the light of a scandal where the Royal Free Hospital was found to have handed over patient records to Google illegally. While such stories are worrying, Williams reassured the audience that the system could be trusted to preserve patients’ anonymity. “The medical profession has been dealing with extremely sensitive data for a long time,” he stated. Pesh Doubleday, head of data projects at Public Health England (PHE), also cautioned that molecular testing facilities were inadequate. Sequencing facilities were old and out of date and were not up to the standards necessary to realise the Dame Sally Davies’ vision, she cautioned. She said: “We are at a critical point from the data collector’s perspective. We are lagging behind the ambitions of the CMO. In a presentation giving a patient’s perspective, Dr Helen Bulbeck, founder and director of brain cancer charity Brainstrust, said the use of patient data to assess whether cancer patients should get wider support was simply a box-ticking exercise. Bulbeck highlighted the example of one brain cancer patient who had been assessed as having mental capacity to live without NHS-funded care based on his ability to eat a croissant – with other issues, such as mobility and communication, completely ignored. Despite this downbeat assessment of current circumstances, the conference heard that two new initiatives were coming on stream that could transform cancer care. Jem Rashbass, director for national disease registration at PHE, talked about a new initiative that aimed to give researchers access to data collected from NHS patients in a way that protected their anonymity. 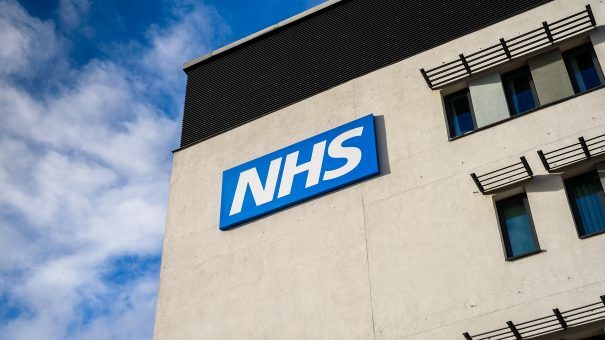 PHE’s National Cancer Registration and Analysis Service had collected data on all patients diagnosed with cancer from across the country, and had permission to do so under a provision of the NHS Act 2006, he said. Data came from 12 national feeds, from 500 clinics and hospitals, and also incorporated 14 million historical records. The data also provided accurate staging information of each tumour, Rashbass reported. “Every one of these staging records has been quality assured,” he added. In order to make this data available for research, PHE joined with QuintilesIMS, Health Data Insight (HDI) and AstraZeneca (AZ) to produce the Simulacrum – an artificial database modelled on the data collected by PHE. HDI built the synthetic database, while AZ and QuintilesIMS guided development by providing data science, oncology and technology expertise. AZ and QuintilesIMS were also testing the Simulacrum to ensure that it will meet researchers’ needs. This simulated patient data protected patient identity while producing almost identical results to the real data. For instance, when compared with the real data, Simulacrum was able to accurately predict the numbers of tumours occurring within a certain patient population, and was just as accurate at predicting certain less-common tumours. Very rare tumours were not included in Simulacrum as this information could disclose patients’ identities. Other information available included chemotherapy treatment data from the Systematic Anti-Cancer Therapy (SACT) database – and the project could also be extended to include germline and somatic testing data. Rashbass said that Simulacrum had changed the nature of the cancer record database, allowing researchers to monitor incidence of cancer in population over time, potentially giving information about how therapies were working in real life in virtual patient cohorts. “It is not a data collection system, it is a data monitoring system,” he clarified. Professor Mark Caufield, chief scientist at Genomics England, gave an update on how the government’s 100,000 Genomes Project could lead to routine genetic testing in the NHS. The project, initiated by the Cameron government in 2012, was beginning to wind down, he said, but it would be replaced by more widespread testing across the NHS. It had involved building a database of genomes from NHS patients that could be used for research into disease, particularly rare diseases and cancer. The wider national system was already being commissioned by NHS hospitals ahead of a launch next year, he explained. The potential of genomic testing was immense, he enthused, stating that it provided an opportunity to make meaningful early interventions based on a patient’s data. In many cases, existing cancer tests simply “monitored the decline” of patients as the disease took hold, instead of providing insight that could enable more effective treatment. Ashley Woolmore, head of European Data and Evidence Networks at QuintilesIMS, gave an overview of the potential of real-world data to inform the health technology assessment process. Woolmore said that the data could potentially be used as part of a value-based pricing system for drugs, which assigned price by attempting to quantify their value to patients and society. Acknowledging that NICE had already tried, and failed, to introduce value-based pricing in the past, he called for better use of real-world data during the pre-approval phase to inform pricing decisions. NICE abandoned value-based pricing way back, when Andrew Lansley was health secretary earlier this decade, on grounds that it could discriminate against older people. The real-world data could provide vital information for companies once their products were on the market that could be fed back to market access teams, Woolmore added. “Being able to provide a means of understanding and following a new product is our primary goal,” Woolmore concluded. Whether RWE will be able to revive value-based pricing and solve the issue of price is a moot point but, based on the views expressed by the speakers, there is certainly huge potential for new forms of data, gathered outside of clinical trials, to transform care. The QuintilesIMS Real-World Evidence in Oncology conference took place in July 2017. More details here. 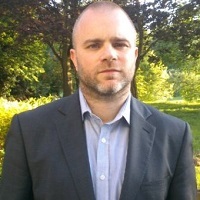 Richard Staines is senior reporter at pharmaphorum.